We Brits just love our caravans, and each year thousands head off for holidays with their van in the UK and across the Channel each year. For many, ‘caravanning’ is almost an obsession; it’s more than just about having a cheap holiday, it’s about the whole experience and way of life that can come with it. But whether the caravan is of the static, ‘mobile home’ type, the touring variety, or a ‘folding camper’, you need to get your Caravan Insurance cover right. This is both to make sure you’re financially protected if anything were to happen to it and to also satisfy the legal responsibilities that come with owning some types of caravan. What types of Caravan Insurance is available? These are caravans which are set up on a long-term or permanent basis at specific locations such as caravan parks, either in the UK or abroad. These are caravans which can be towed behind a motorised vehicle and driven along public roads to various destinations. Again, these are designed to be towed behind a motorised vehicle. Cover for static and touring caravans is essentially the same as at some stage they both have to be taken on the open road, except one is towed and the other usually placed on a loading vehicle of some sort. Once at the destination, their needs are very similar. ‘New for old’ caravan exchange – If your caravan burns to the ground, or is written off in an accident en-route to your destination, and is under a certain age (usually 15 years old), you get a brand new replacement under ‘new for old’ cover. Cover for use abroad – Caravan insurance nearly always comes with cover allowing it to be used across the Channel (further afield and you’ll generally need to increase cover). The cover usually allows for trips of up to 30 days, but this can be extended. Static caravans will need additional insurance if they’re permanently positioned abroad. Contents cover – Being on a campsite can mean there’s a higher risk than normal of having items stolen or damaged. Most policies include contents cover as standard, but some don’t. Family and friends – In recognition that the friends and family of those who own caravans often use them too, cover includes this. Storm, tree and flood damage – Caravans are naturally highly exposed to the elements, so nearly all caravan insurance includes financial protection from the ravages weather can bring. Public liability cover – Caravans, to a certain degree, post a much greater threat to other people than the homes we live in, so policies come with public liability cover of often up to £2million. Accidental damage – Damage and loss caused by you isn’t usually covered as standard and would need to be bought in addition. Wear and tear, and maintenance – Bear in mind that caravans degrade over time, some quite rapidly if not maintained properly, and you won’t be able to claim for damage resulting from ‘wear and tear’. Insects and vermin – Rodent, insect and other pest damage is nearly always excluded. Breakdown cover – If your caravan breaks down and can’t be towed or carried, you won’t be covered unless you’ve paid extra for breakdown cover. Age restrictions – If your caravan is over a certain age (usually 15 years) you’ll probably struggle to find comprehensive cover. Business use – If you start selling burgers, or running any kind of business from your caravan, you’re going to need completely different cover! While trailer tents and folding campers are clearly not ‘proper’ caravans, their insurance needs are very similar and standard policies include the same key features and exclusions as above. 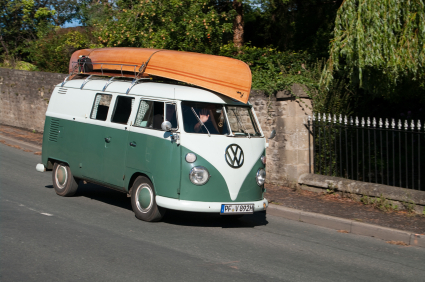 Once your caravan insurance is in place, you should be good to go, so it just remains to say… Happy camping!